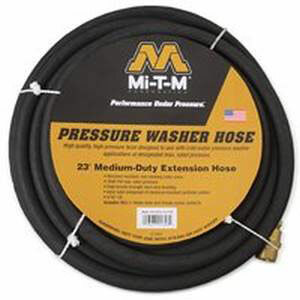 Maintain your pressure washer with our quality pressure washer parts. 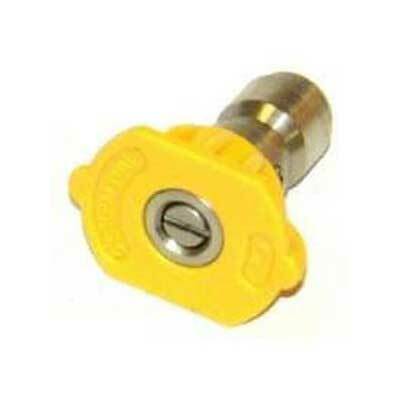 Pressure wash like a pro with our selection of pressure washer nozzles. There are two types of pressure washers - gas powered and electric. A pump pressurizes the water from a garden hose to 1000 pounds or more and then forces the water through the spray wand. The pressure measurement is called PSI, or pounds per square inch. A gas powered pressure washer will deliver higher water pressure, around 3000 psi, versus an electric, which delivers about 1400 psi. Before starting your pressure washer, be sure to clear any debris from the intake and tighten all hose connections to ensure air will stay out of the lines. 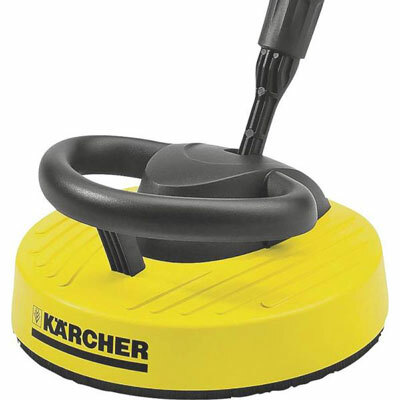 Set the spray wand to a low pressure setting to avoid any kickback when starting the pressure washer. Turn on the water hose and quickly squeeze the wand trigger a couple of times to prime the pump and dispel any air. Keep the washer on a low pressure setting until you get used to the force of the water. Be careful to avoid windows when pressure washing a house. Aim and spray in sweeping motions, keeping the trigger pressed down. Watch all the grime wash away! What do I do about a clogged pressure washer nozzle? Check your nozzle for debris. Debris can pass through the system and settle in the nozzle. It is very important to remove the clog immediately because the resulting decrease in flow of pressure can cause damage to and/or ruin the pump in your pressure washer. To clear the debris, simply turn off and disconnect the gun. Either blow the debris out of the nozzle or use a thin piece of wire to clear the debris from the nozzle. Should I use an electric pressure washer or a gas powered pressure washer? Electric pressure washers are generally best for small jobs, such as cleaning cars, boats and patio furniture. Electric pressure washers generate less pressure than gas powered pressure washers, so unless the home you are pressure washing is small, it is best to use a gas powered pressure washer to get adequate cleaning power. Water and electricity combined are very dangerous! Always be sure to avoid spraying near the electric meter, exterior outlets and any lights. If you are new to pressure washing, try using a wider spray nozzle before moving to a more narrow one. This will allow you to adjust to the force of the pressure and help prevent mishaps. Be sure to wear goggles for eye protection. Wear rubber soled shoes to prevent slipping. Never point the wand toward yourself or others. The strong force of the spray can cause serious injury. Never use a gas powered pressure washer in an enclosed space.